If you attend the Rose Theatre productions on a regular basis, Mandy Aleksiak is no stranger to you. A thespian in high school (often taking on character roles such as a drunk, a witch, or a villain), she is now the smiling face who welcomes you to the productions at the Rose. She lives for show days/performances where she gets to see families, engage with the audience, and talk with the littles. This month, TAG is recognizing Mandy as a “Hidden Hero” of the Omaha theatre community. 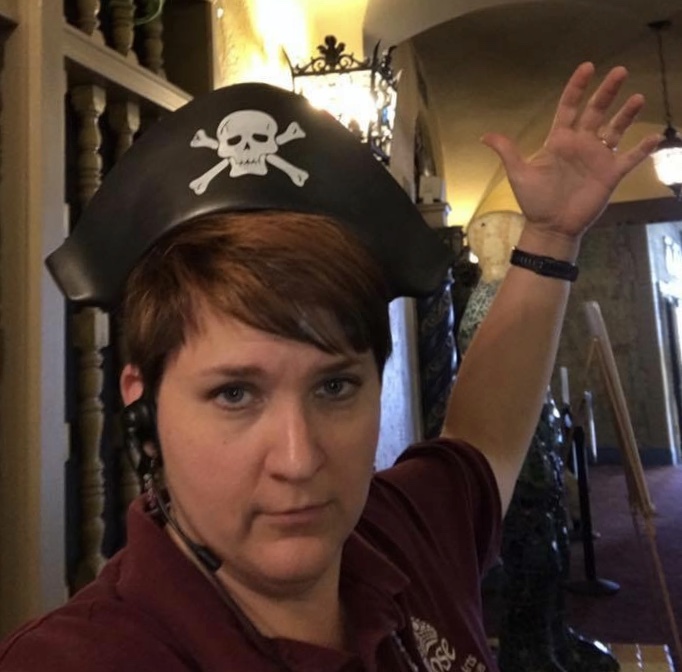 A woman who wears many hats, Mandy has worked at the Rose for 18 years and currently serves as the Audience Service Director. In addition, she manages the membership program, is the department head of the Box Office, is a member of the marketing team, and is responsible for all front of house policies and procedures. What many don’t know, is that Mandy strives to make theatre accessible to all. She works with a generous donor who donates 300 family memberships to be distributed to students with socio-economical barriers to The Rose (distributed through the OPS Foundation, Council Bluffs Public Schools, Girls Inc, Outlook Nebraska, and a few additional agencies). Beyond the scholarship memberships, Mandy has helped establish a Pay What You Can Performance for most productions to reach families who might struggle to pay the full amount of the tickets but aren’t affiliated with a social service agency. In addition, the Rose gives away at least 200 tickets per production to social service agencies. Mandy’s work with making theatre accessible to so many families (especially students) makes her a true hero of the Omaha theatre community. So, next time you are at the Rose, seek her out and give her a huge thank you.